The Women's and Infant Care Center at D.W. McMillan Memorial Hospital is devoted to the women and infants of our community. 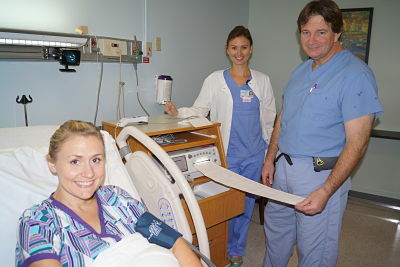 Our staff is here to assist women through all phases of health from planning childbirth through the golden years. We know you will not find a more friendly, caring and devoted group of professionals than those here at D.W. McMillan. Our physicians, nurses and other staff all work together to provide safe, high-quality and up to date care with the personal touch. Many of our nurses in the Women's and Infant Care Center have worked here for years. They are experienced and passionate about our patients and the care they provide. The Women's and Infant Care Center staff believes birth is a celebration of life and that a family centered environment for every childbirth experience is essential. We also believe knowledge and support are the keys to a successful transition for welcoming a new baby to the family. Our patients and their families are the focus of everything we do.